Battlefield Hardline developer Visceral is hard at work on a number of new changes that will be coming soon to the game. 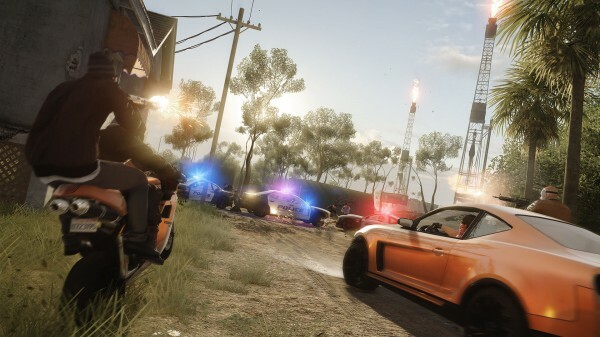 Thad Sasser, lead multiplayer designer at Hardline developer Visceral has taken to Battlelog to update the community on a number of tweaks that are currently in the works. – The Rep system has received an overhaul. The Tiers are greatly reduced in cost (esp. T4, which went from 11k to 6k) and easier to obtain during a match. The trees also got some massaging to make them more interesting and better, and this was changed based on Battlelog user feedback (thanks for the input!). In addition, we’ve added the ability to Pre-Select your Rep perks so that what you want is automatically applied once you earn it. – We’re working on bringing you faster tick rate servers. Our engineers have implemented changes and they’ve been successfully tested in the CTE for BF4. We hope this will be the first thing tested in the BFH CTE, and pushed into the full game once we know it’s effective and working right. These plus some other fixes could greatly improve the experience for players who have had issues with latency or connection. – We’ve got Universal Soldier Aiming and ADS sensitivity sliders implemented for the next patch. Now you’ll be able to set this up how you like. – The Deployable Camera has seen massive improvements to its functionality. Now camera spots take priority over active or passive spotting, making them much more reliable. In addition, each camera shares a larger pool of raycasts, improving the number of targets they can spot while not impacting performance negatively. – We’re fixing the Ballistic Shield coins by changing the scoring events. Instead of 1 point per bullet (really? bad designer, no cookie), you’ll get multiple points per bullet, making these assignments and coins easier to achieve. – We’re working on getting details for Expansion Pack 1 Criminal Activity together. The pack has shaped up nicely, all 4 maps are playing great and give new variety to the gameplay. There are some night maps. There’s other cool stuff in there too, like new Masks, but I won’t spoil it all before the announcement. Sasser added that he is not able to give an ETA for the patche’s release, or the final notes just yet.